Showing results by author "Russ Peterson Jr"
By: Kevin Karschnik, Russ Peterson Jr.
Narrated by: Russ Peterson Jr. 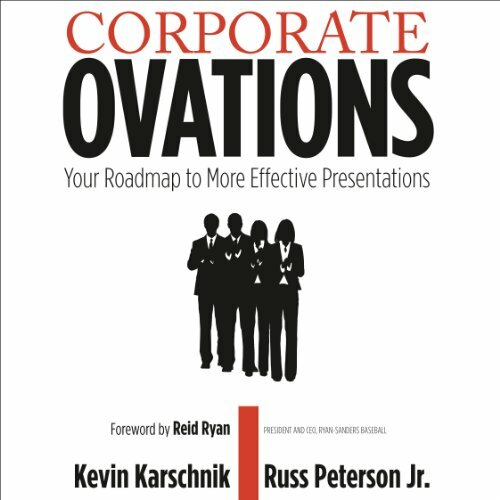 In Corporate Ovations, Russ Peterson Jr. and Kevin Karschnik share with listeners the tools and techniques they've learned through their years of successful professional speaking experience. The book provides a roadmap that helps readers eliminate fear, anxiety and bad habits to become truly great, captivating speakers. It is an essential guide for any professional who wants to hone this essential communication skill. Listen to it, implement what you've learned and experience Corporate Ovations!